The professional high performance football academy is located in Stamford, England and has been operating for more than 10 years. Its mission is to help students reach their maximum potential as both athletes and scholars. To achieve this objective, the academy makes use of the best facilities and the best professionals so that students at the academy can experience what life is like as a professional footballer. * To provide the best environment to achieve athletic and academic excellence. Life at the Academy placed me outside my comfort zone. I learnt more about myself all the time and how I respond to certain situation. I couldn’t imagine doing anything better than training and playing football every day. It has been awesome. I loved it at the Football Academy in England. My time there prepared me very well for life in football, and I am very grateful for that. The main learning point at the Academy was the tactical understanding of the game, and there has been a lot of progression in my career since I graduated. The Football Academy in England was a great experience and helped me a lot in terms of developing as a player. As well as helping me grow my understanding of the game and my position, it also helped me build up my confidence. Complete student: Includes a training program, full room and board, and an academic study program. Day student: Does not include accommodation. Includes a training program, half-board, and an academic study program. This two-year vocational course teaches sports training and covers subjects such as development, coaching, and fitness. The course is equivalent to a “grado superior” in the Spanish education system. Students who don’t intend to complete university studies can choose to complete an A level course. These are pre-university courses (equivalent to the “bachillerato” in the Spanish education system) that cover the basic subjects necessary to pass the entrance exams of Universities in England and the USA. All students can opt to attend general English classes adapted to their level. Students in the English program attend English class for three hours a day (with a 30-minute break) from Monday to Friday. Students who want to continue their studies with their usual school can do so through online distance education at the academy. This academy was founded in 2007 as the first official high performance football academy in England. The project began 7 years earlier in 2000 with the objective to facilitate future employment opportunities for talented footballers. In 2000, three business partners created a web page where football players could fill out and upload their sports curriculum so that scouts and trainers could look for candidates according to their teams’ specific necessities. From that idea, the high performance football academy was born. Following the initial success of the idea, these three partners began to organize trials and try-outs in the stadiums of great English teams such as Arsenal, Chelsea, Newcastle United, West Ham United, Reading, Leeds United, etc. These trials united a great number of players, clubs, scouts, and of course, sports press; more than 600 players participated, and more than 75 scouts came to observe. Thanks to the simple brilliant idea of these three businessmen, many players signed professional contracts. One such example is Chris Smalling who was contracted in 2010 by Manchester United for 10 million pounds. Nowadays, the high performance football academy in England is dedicated to helping young footballers achieve their dreams of playing professionally. From Antigua and Barbuda arrived in England, Jahraldo-Martin spent 2 years in the academy learning everything there is to know about professional football. Currently, he plays for Hull City in the second division of the English league. Another successful case is that of Oyeleke who currently plays for Aldershot Town in the National English League after having played for various teams on loans. The academy personal is the most valuable resource that the academy has to offer. The staff, coaches, trainers, and teachers work rigorously to teach and motivate the players to achieve their goals. All coaches at the academy are highly qualified to help young athletes improve their technique, and more importantly, coaches at the academy are dedicated to developing the athletes’ self-confidence. Grant Brown played as a powerful defensive force for 18 years in a total of 600 matches making him an experienced expert. He began his professional career with Leicester City but spent most of his years with Lincoln City where he competed in more than 400 matches during 13 seasons. Benn Watts has a unique backstory; before becoming a professional footballer, he rejected the opportunity to become a professional cricket player. He currently possesses a UEFA coaching license and is a level two goalkeeper trainer. As such, Watts is an integral part of the academy’s goalkeeper training program. He began coaching in the Kettering Town Academy, and then passed through the Northampton Town Academy and the Peterborough United Academy. His experience coaching at these academies helped him to ultimately achieve the UEFA B coaching license. 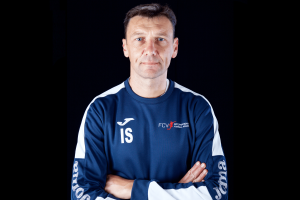 Ian Sampson is one of our valuable A licensed UEFA coaches. His experience greatly helps FCV Academy students who dream of becoming professional footballers. He began his career in 1990 as the center defender for Sunderland. Shortly after, he played for Northampton Town where he strengthened his skills during 10 seasons. During one of those 10 seasons, he played on a loan for the Tottenham Hotspurs. 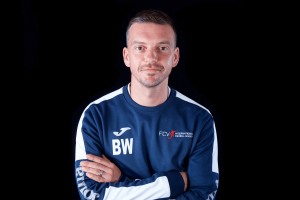 Chris Palmer is a sports therapist and qualified sports masseuse who attended the Medical Center of Excellence in Lilleshall before obtaining his title as “Sports Therapist” in Salford University. 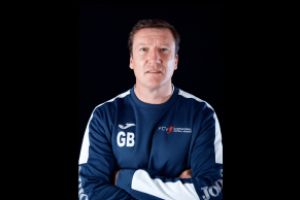 He has worked in the departments of sports injuries, in the rehabilitation centers of various professional and semiprofessional teams such as Cambridge City, Luton Town, Norwich City, Kettering Town, Rushden & Diamonds and Spalding United. In 2012, Chris was lucky enough to be selected as part of the elite team of sports therapists at the 2012 Olympic Games in London and the Commonwealth games in 2014. 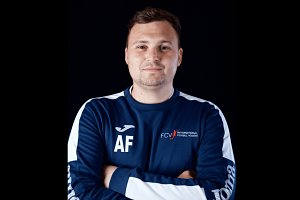 Ashley Foulger has experience coaching both junior teams and professional teams having coached Northampton Town and Kettering Town. 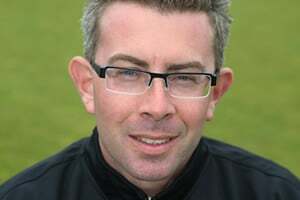 Foulger has a level 2 license from the English federation and has worked as a coach in many diverse football schools. Since his arrival to the academy in 2016, he has been in charge of the organization and training of goalkeepers. 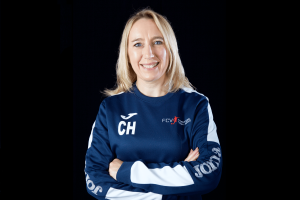 Following an extensive career in the football world as a therapist, Carol Holland became an essential member of the English football academy’s team of professionals dedicated to maintaining the physical fitness of the players. Physical conditioning is essential to the success of a professional footballer. Holland is always available to resolve any of the players’ doubts regarding their fitness regimens and/or to teach the players new methods and techniques for taking care of their bodies. Training at the football academy in England is high performance training. Players who attend have the opportunity to improve their performance to be able to play at a professional level. To be accepted, candidates must not only play football at a high level but also be willing to make sacrifices and work hard to achieve their goals. Option 1: Participate in one of the camps that the academy organizes during the summer. + All participants are new to the academy and begin the camp at the same time (these programs take place during the holidays of the full-year academy students). - This option does not completely recreate the experience of a full-year academy student, but participants do have the opportunity to get to know the environment, the academy, and the training. Option 2: Participate in an intensive program at any time of the year. These programs are at least one week in duration and may occur at any time during the year. Training sessions are intensive and more personalized than training sessions at the summer camps. Participants train with the full-year academy students. + Players who choose this option live an experience very similar to a full-year program at the academy. + The program is more personalized due to a smaller number of participants. - Participants must adapt to playing with a group of players who have already been playing together for months. Option 3: Attend a trial. The academy hosts trials each year for players looking to attend the academy as full-year students. They usually take place in July and August for one day during each month. Hopeful candidates visit the academy to attend the trial and visit the sports facilities. During the trial, footballers play in a match organized by the coaches specifically to analyze the players’ skills and potential. Coaches select the most talented players with the strongest work ethic to attend the academy. Participants must come accompanied by a parent or guardian and make a nonrefundable deposit of 85 pounds. For players who cannot attend either of the trial days, the academy can organize an individual trial at a different time and date (this option also requires a payment). After having analyzed each player, the academy offers a price quote for each student according to the education option that they choose and offers them the opportunity to study and train at the academy. For more information about prices and dates, fill out the enrollment form below or download a PDF with more information about the academy. Enrolling in a full-year course in a football academy is a great investment in your child’s future. Before spending a large quantity of money, it’s a good idea to be sure that your child has the potential to make a career out of football. Therefore, the most recommendable option is to attend a trial in person so that the academy can analyze your child’s skills and inform you about the best options for them taking into account their skills and future possibilities. In certain exceptional circumstances, the academy accepts video footage of hopeful candidates during match play which must also be accompanied by their current coach’s reference information. The video analysis costs 85 pounds. Again, the most recommendable option is to attend a trial in person. To see the prices of this access option, please download the pdf that you will find directly below or fill in the registration form. Download our PDF with more information about the academy: sports programme, education options, prices, dates etc. Would you like to attend a try-out or trial? Once you have filled out the form above, click orange button to send it to us. We'll contact you in less than 24 hours.